International removals to Japan - Compare & Save up to 70% ! Arranging International removals to Japan may seem like a big deal, but it doesn’t have to be. Intlmovers can help you find the right international removal company to get your personal belongings to any location in Japan. You can avoid stress by letting the experts manage your international move, leaving you to focus on other priorities that you may have to attend to for your arrival in Japan. If you are running short of time, or energy, Intlmovers allows you to quickly and easily compare quotes from up to six international moving companies who specialize in international removals to Japan. It only takes a couple of moments to submit your request, yet you can receive a number of completely cost free quotes in response to make it easier to compare your options and make a selection. In addition to the international move to Japan, you may also need assistance with other move related services. Many international removal companies can assist you with packing services, storage services and more. When you are comparing quotes, make sure that the services that are included on your quote are being fairly compared in order to make a realistic and fair comparison between the different prices and value that are on offer from the different companies. The international movers have years of experience with removals. Japan is a popular destination for international removals from all over the world. In particular, Japan has a large expat community from many people coming to work for international companies. The largest international companies that are Japanese owned include Toyota, Sony, Hitachi and Toshiba. Japan is considered to be one of the world’s safest countries. The crime rate in Japan is one of the lowest of any country in the world. Travelling around is safe and cheap if you’re using the public transport system. Japan’s public transport system is world famous as being one of the best systems in the world. The capital city of Tokyo is a popular first stop for many arrivals in Japan. It is a huge city with a population of nearly ten million people. The second largest city in Japan is Yokohama, which has a population of nearly 3.7 million people. The third largest city is Osaka with 2.7 million inhabitants. You may find that many (younger) people speak English in Japan in the major cities. English is not widely spoken across the country. Obtaining your visa approval for living or studying in Japan needs to be arranged prior to your arrival in your home country. If you are wishing to extend your stay, it’s important to note that obtaining a residence permit in Japan is extremely difficult. As with any international travel, you should always seek professional advice from your local embassy to make yourself fully aware of the terms and conditions of stay in any foreign country, including Japan. If you have never been to a place before or have limited local knowledge, taking advantage of the experience of international removal companies can be a real bonus. They will ensure that your goods arrive safely and efficiently. And that local customs and regulations are correctly conformed to. 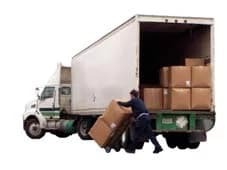 You can really set your mind at ease with the knowledge that all international removalists on Intlmovers have many years of trusted service in the transport industry. Getting free quotes with Intlmovers is one of the main benefits of using Intlmovers. Additionally, the quotes that you receive are all supplied completely obligation free also. It’s completely up to you to review the quote responses you receive from international removalists. Not quite satisfied with what you received? No problems, all quotes provided by the partners of Intlmovers are supplied without any obligation whatsoever.